Ahh the restricted ceremony. 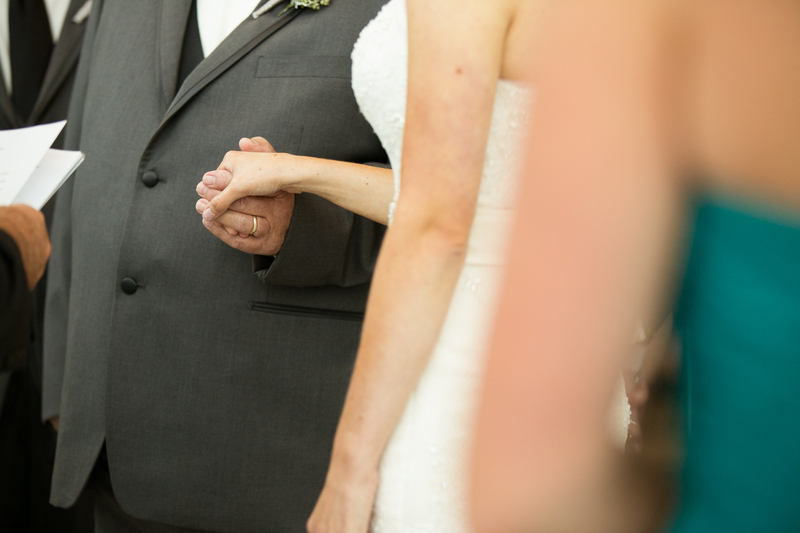 Some photographer’s worst nightmare for THE biggest moment of a wedding day. Personally, to me, it’s pure torture to hear “you have to stay in the back and not move the entire time.” OHH my heart! It’s not that I can’t do my job well with my 70-200 from the back, but it’s just NOT the same. 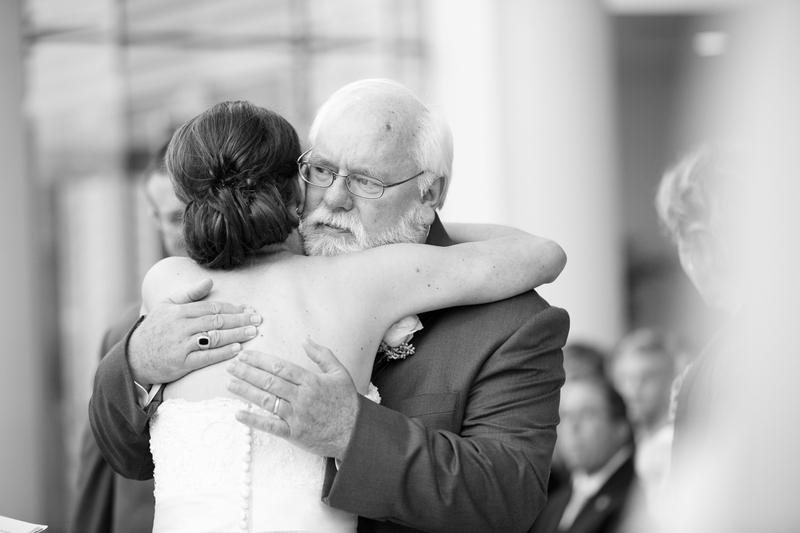 Taking a picture of a bride and dad from the back as they enter is NOT the same to me. And when a church staff member suggests “reenacting it” I just can’t even pretend that’s a good idea. Empty seats because the guests are all escorted out and having something that’s a REAL life moment set up like that? It just doesn’t work in my opinion. Not for the sincerity I aim for in my work. 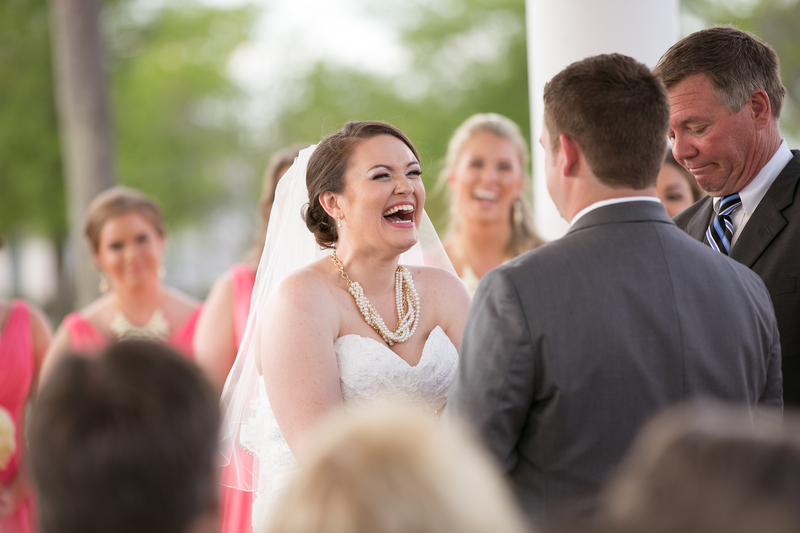 So GOLD happens sometimes, and this weekend’s wedding was no exception. It was actually very unexpected though because it was a Catholic ceremony and let me tell you as someone who grew up Catholic..it’s RARE to be able to get the rules bent a little! Seriously, they tend to be very strict. The coordinator for this church could not have been more pleasant toward me and I am very tempted to send her the following images to thank you and show her what she helped create with her relaxed personality and permission. 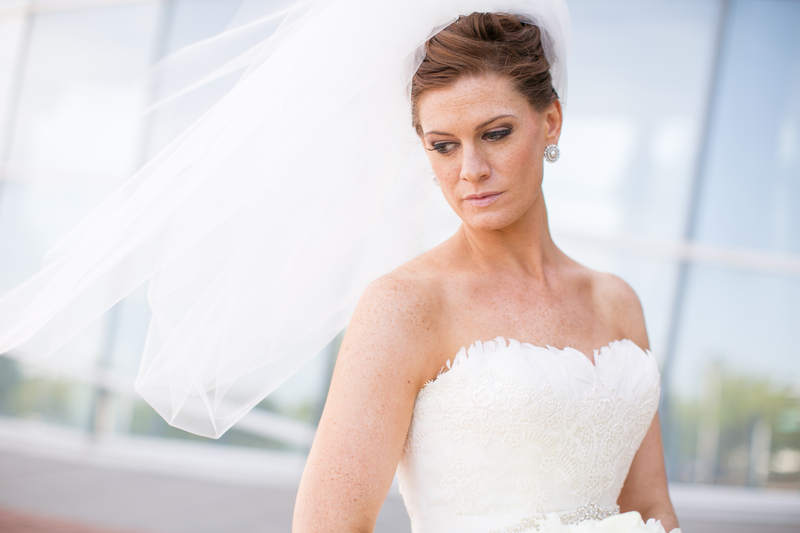 Photographers & Brides– consider asking to have the rules bent a little. It’s SO disconcerting when guests can have their cameras and cell phones flashing the entire time held up in the air, but the person hired for the job isn’t even allowed to fully do theirs! Let’s push just a little if it’s not too much of a disrespect issue to the religious beliefs. If it’s just because of previous bad experiences with other photographers..reassure them you will be quiet and efficient and do your job VERY well! Here are some of my FAVORITE moments during ceremonies where I would not have been able to make happen without a little relaxation in the rules department!! 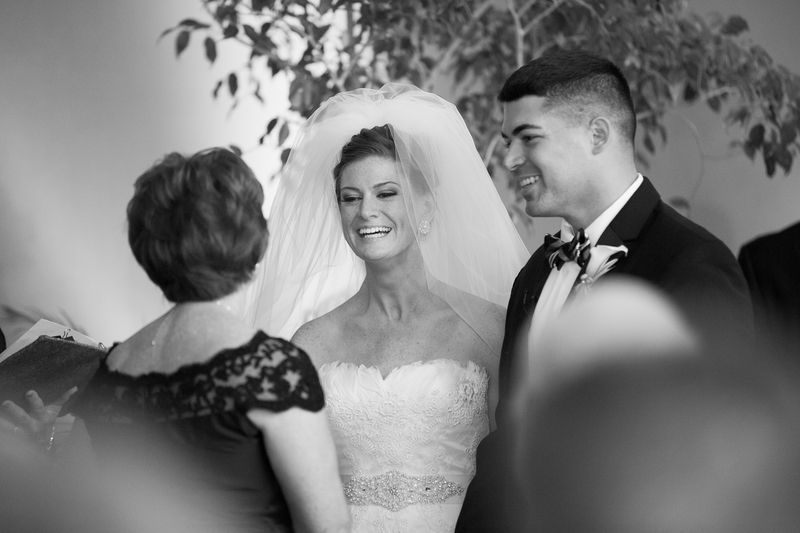 Brittany wiping a tear during her British Virgin Island wedding ceremony — they met ON this island and married here! Jason is one of those guys that’s about 1000 times cooler than me, so seeing him a little sentimental at the sight of his bride REALLY made me melt!! 🙂 Yay Candace!!! This one has stayed close to my heart since it happened. 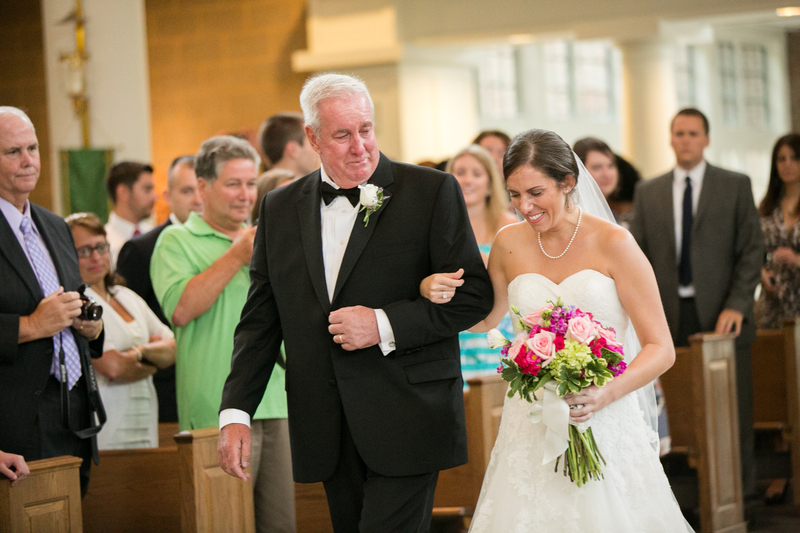 Morgan’s incredibly kind and handsome daddy had a health scare earlier in the year that really shook up their family. They told me how when it happened, they didn’t know what to expect or what the outcome would be..but thankfully he recovered wonderfully and here he is..walking her down that aisle. And the moments and images to follow were just that much MORE important because of it.